As if my life is not fulfilled enough, spending hours looking on the internet at all things puss-cat related, I decided that I needed more cat in my life so have been watching films with cats in! I haven’t put anyone through this trauma, I have been quietly watching them on my own….not that I am ashamed – Crazy Cat Lady and Proud – that’s me! So here are the ones I have watched and enjoyed (kind of) so far…look them up sometime and please let me know if I am missing any classics! I can’t even tell you how much I love this film! Sassy is a super cool cat (and the 2 dogs are not too bad too ;-). 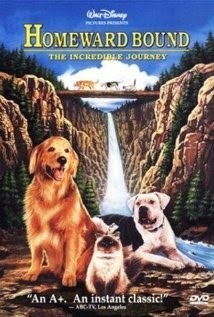 I was addicted to Lassie and Littlest Hobo as a child so this is right up my street! 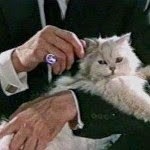 I’m not a huge Bond fan but when I think of movie cats, I think of the villan with the mean looking cat. The cat star in this case, is a rather grumpy looking Turkish Angora. The puss-cat character is in about 8 James Bond films, but I am not sure if it is the same puss-cat actor. Anyone know? Anyway, as much as I love the puss, there is just not enough cat action for me in this film! Sorry Bond! 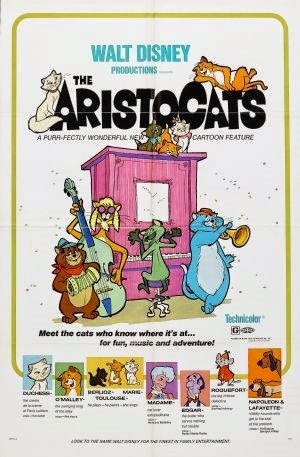 My favourite cat character in this film is the trumpet playing jazz-cat Scatman – what a dude! This was a Walt Disney childhood favourite of mine, I loved it then and I still love it now. 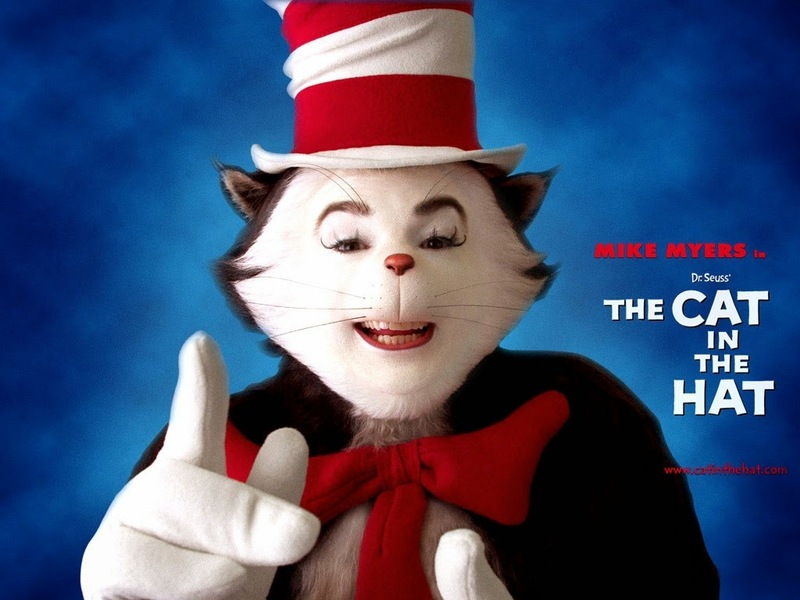 If I am honest, the Cat in the Hat creeped me out a little bit (well, actually, quite a lot) but it is a fun film! 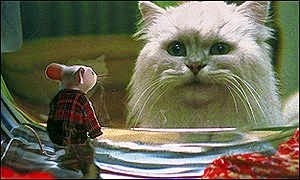 Yes, yes, I know this film is about a mouse but there is a rather beautiful cat, called Snowbell. I particularly like this film as I can relate to it – I spend a lot of my time trying to catch the mice that Melly brings into the house (we name them all Stuart Little). 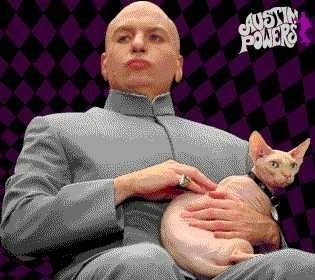 A mickey take of Blofelds character in Bond but rather than a Turkish Angora, a little baldy Sphinx cat is the star. I love his name, Mr Bigglesworth, and I am fascinated with Sphinx cats...I have never met one. I think this is a rather ridiculous but hilarious film! What can I say? 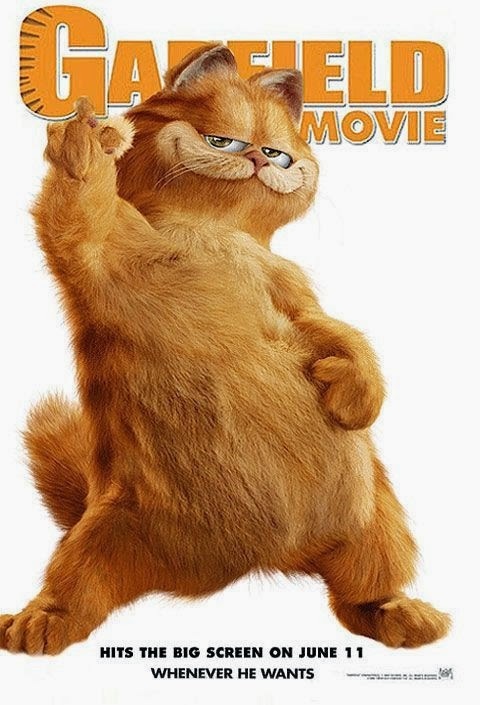 Garfield is a duuuuude with cattitude, and I have been in love with him since the 90’s so I was quite happy to sit and watch this film again (for the 20th time – ahem!). Reviews for this film are always bad but my niece, Molly and I love him – so there! This was another childhood favourite of mine and I just love Si & Am. Why is it cats are always the baddies though? 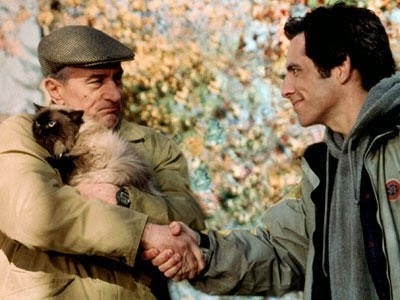 This film is fab, it has Ben Stiller (yum) and Mr Jinx the cat (fab) – what is not to love? It appeals to my very childish sense of humour! I am currently trying to track down a copy of “The Darn Cat”! 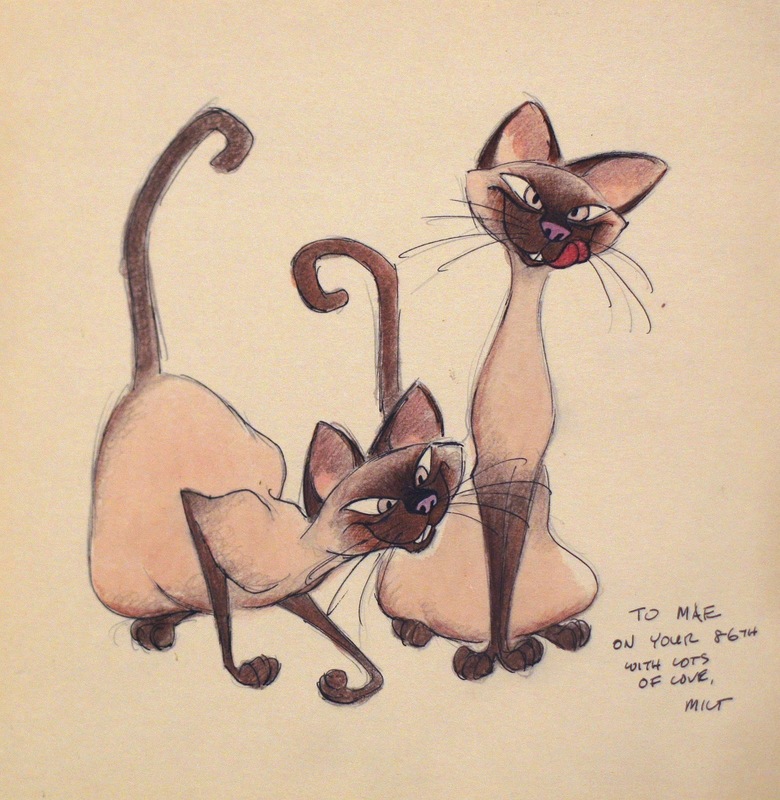 It was made in 1965 and stars a Siamese tomcat who is an FBI secret agent – sounds exciting huh? No? Just me then! Feel free to let me know if I have missed any classics from the list as I need an excuse to watch more felines on film!